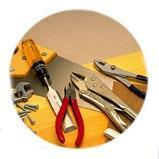 Listings of sites for home improvement, redecorating, remodelling and do it yourself home repair. This is a main category and no sites are listed here. Please select a subcategory below for appropriate listings in the Home category.